Sergio Della Sala, Professor in Human Cognitive Neuroscience at the University of Edinburgh (helpfully explained as a "brain doctor" by the BBC), has given a speech to school administrators in Scotland explaining that the use of computers does not improve or advance learning beyond what a traditional book might accomplish. The headlines — "Computer consoles 'no better' than books for learning," "Brain boffin calls for schools to get back to books" — are a bit of an exaggeration; the direct study is regarding the use of the Nintendo DS as an education tool, and although schools have seen improvement in mathematics in the use of the DS, it isn't particularly better than in those students without the math video games in their pockets. Nintendo has been looking towards the future of the DS in the education environment, and Scotland has one of the earliest attempts to test the DS in the classroom, so the use is very embryonic at the moment and doesn't indicate all learning is going to migrate to a gameboy. In the few articles about Dr. Della Sala's statement, I can hear the hand-wringing of the books-are-best groups. Add the DS to the list of electronic equipment that is slated to cause fewer books to be printed; iPhones and Kindles and books-on-CD and fax machines, there's been all sorts of machines which simplify or replace the usefulness of books, but a bit of perspective is useful here. A book is simple, portable, and easily interpreted. A book has physical mass, which is something that electronic formats replace: not a condemnation of books, but an attempt at improving the format. A book has minimal interactive engagement, which is something the DS does well. The anecdotal evidence in the BBC article is not that a DS can teach more than a book can, but that the game engages the students and catches their attention better than the book or teacher can directly. Certainly, if the DS-based math education takes off, fewer math textbooks will be printed, there's no changing that. It isn't a case of bells-and-whistles winning over a tried-and-true technology; it is using technology to more productive ends. That isn't to say the DS will be always applied conservatively only to those tasks to which it is best suited; U.S. schools have been devoting a lot of money to strive for the goal of one laptop for every student, and colleges have often been requiring students purchase a laptop. Like the DS, the report is that students are more engaged, are able to communicate with teachers and other students better, and remain productive outside of the classroom. Once laptops begin to replace large chunks of the learning experience — regardless how many books it eliminates — I worry that there will be a loss of learning skills. Laptops spellcheck, substitute for a calculator, pre-organize outlines and workflow, perform slideshows, and encourage internet-based research instead of library-based research. Students are more engaged, more productive, because the computer replaces the boring, tedious parts of learning, but I cannot accept the idea that this is a better state. 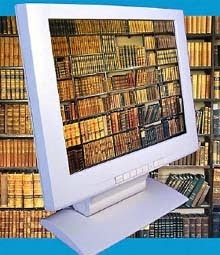 Up to a certain level, the computer is allowing the student to focus on the important parts of their education, the memorization and the analysis, but there is a point beyond which the computer is performing the majority of the skills of learning so the student can simply repeat what the screen says. The student is not really learning once they have reached that threshhold, and computers make it very easy to approach and cross that line. I believe that is Della Sala's point: learning occurs when a student is able to take in information, analyze or research it themselves, and respond with a correct answer, and that is a fixed commodity in a student, unimproved by a computer. Computers, by nature, are entirely capable of collecting, analyzing, and learning from information on their own; educators need to watch that students are the ones learning, whether it comes from a book or a computer, because teaching a child how to get a computer to do their homework for them is a disservice to education and students alike.